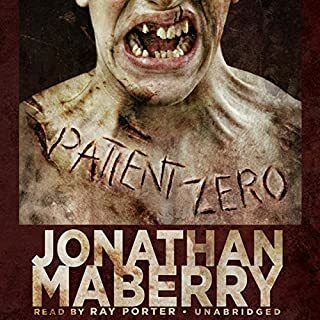 This is my first book of Jonathan Maberry (JM). Excellent story that holds your interest for its entirety. I was hesitant because it had zombies. Surprisingly I’m fine with the zombies. To me it felt real, as if it could really happen. Although JM ‘s zombies are fantasy the world it happens in is very much real. That’s why it will give you pause to think “Could this happen?”. Ray Porters narration of this book is masterful. So impressed by his performance. Recommend this book to everyone even non zombie fans. I have been a huge fan of this series. Eating up every word of the story. It was very good and I was sorry to see it end. It had everything all of the books had. Listening to this book as did all of the books, it became very personal and characters became family. You suffered when they did and you smiled as they did. I'm not an expert on writing but I do know it's a good book when you get emotional about the story and when you can't put it down. However the problem I had with this book is it was just too much like the other books. For me the ending just happened with no build up or events leading up to it. As the book evolved I kept waiting for something exciting, special or meaningful but it just wasn't there. I think perhaps I built it up too much and was disappointed when it didn't shake my world as some endings do. I do recommend the book and series with the caveat that expectations are managed. It's a great story that will make you think. The narrator was excellent. 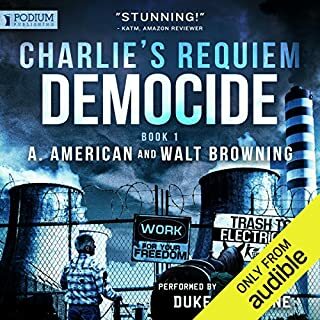 This audio book was given to me in exchange for a honest and timely review. I apologize for it's lateness due to illness and surgery. Boy oh boy "The Innocents" did not let me down. 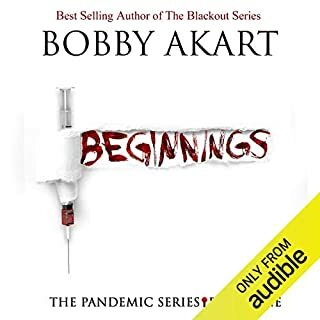 When I finished "Beginnings" I couldn't wait for the next book in the series. It came out on Audible about two days later. That's an extra star for me already. This book is so exciting. Terrorists are infecting the world hoping to accomplish the final Jihad. There are parts of the story that will make the hair on your neck stand up. They disperse the virus in ways that are indefensible. Bobby Akart is spot on with the research and in the way he wrote it. "The Innocents" grabs you right from the start and won't let go. Everything about this story will linger and stay with you for a long time. The main characters are developing and becoming romantically involved by book two. Hunter works for the Department of Defense and Mac is an epidemiologist for CDC. There is conflict within our government as to how much to inform the public, which sadly is very plausible. The entire story is so credible, I don't doubt that one day we may read a newspaper headline similar to this storyline. The narration includes 2 voices. John David Farrell always does a great job. Kris Adams is the second voice and she does a good job. I have to admit that it was something to get use too, but by about the middle of book two I was ok with it. Once again by the end of this book I was spellbound and wanted to continue immediately. 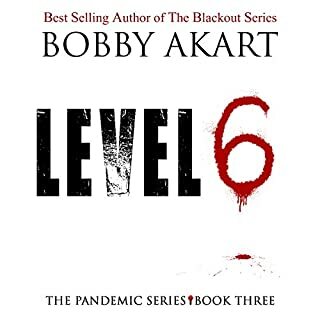 I watched everyday for Level 6 to be available on Audible. It's here so I will start Level 6, book three on the edge of my seat. 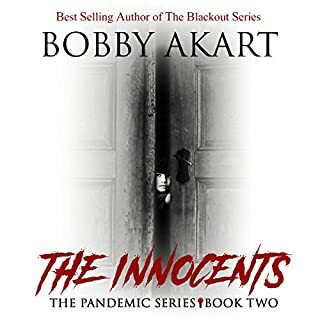 That's all I will tell you about end of "The Innocents" Bobby Akart has done it again. 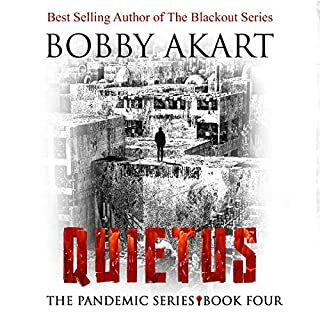 It's a wonderful, exciting and very scary series that I can easily recommend for all readers. I would give it 6 stars if I could. Happy Reading! Sounds cliche but what an ENDING!!! 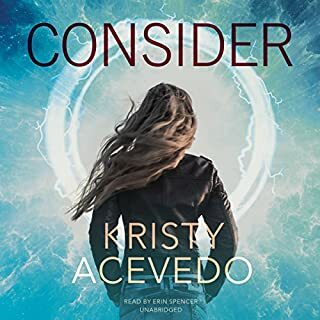 I loved "Consider". First the narrator did an excellent job. She was perfect for the story and performed the characters in a very believable way. The story kept me in suspense the majority of the time, right up to the very end. I could not stop listening. I felt at times the story was a little juvenile but for the most part but I felt at home with it and I am 63 years old. Generally speaking I do think "Consider" is geared for and will mostly appeal to the female audience. It has a great ending which just begs for you to read the next book. I pre-ordered the 2nd book the same day I finished "Consider". Fortunately I had to wait only 2 days. The characters are real and the story is believable. It's a very fun book to read and I definitely recommend it. I couldn't finish it. I found it to be very boring and slow. I think a lot of it has to do with the narrator. It wasn't that he was horrible but he sounded like he was at the library reading to children or even a teacher reading to their class. I do not recommend this book. 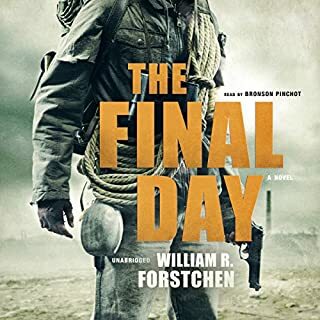 The Final Day (TFD) continues to deal with the struggles and problems caused by an EMP in the first book "One Second After (OSA)." I hesitated to purchase TFD for a couple of reasons which I'm seeing repeated in other reviews. Book 2 "One Year After (OYA)" was good but not as good OSA which I loved. I worried TFD would be even less good. Another reason was I did not like the narrator for OYA and he is back for this book. I'm somewhat surprised he is again the narrator considering there were so many negative comments. I thought maybe the author might change the narrator. With that said there were so many good reviews for TFD I decided to take a chance. I started and started over and started over again before I could get past the first chapter. Mostly it was the narrator. The story did move a little slow in the first chapter as well. Finally once I got past the first chapter and got into the story it was so good I was able to get past the narrator. In fact I got use to him and he didn't do a bad job. Comparing all the books in this series TFD is far more exciting than the first two in the series. TFD is very suspenseful, very entertaining and has some great characters old and new. I urge anyone starting this book to make yourself listen past the first chapter. I believe you won't be disappointed. I definitely recommend this book. 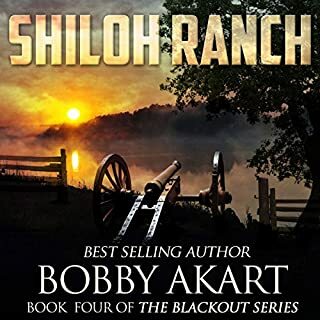 Shiloh Ranch is the continuation of The Blackout series. 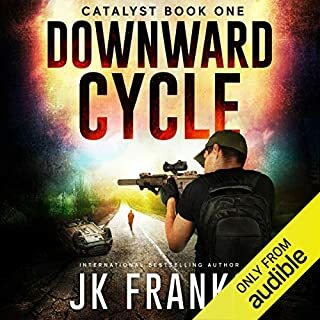 Great story, has lots of conflict and suspense to keep you interested. The Ryman family is a normal family trying to cope with a blacked out world. It's a different narrator this time but he does really well. If you have been reading this series, keep reading. It's really good.